From Brisbane, Australia. Fellowships at Kuraby Christian Church. 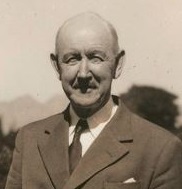 Was a missionary to India, then head of Operation Mobilisation for Australia. 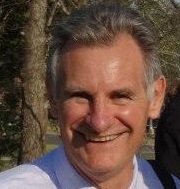 Often preaching in the Brisbane area. Click to go to Don's Bible teaching. 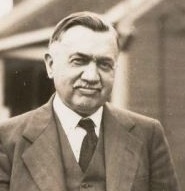 Was a missionary to India and later was on the Advisory Council of Queensland. The recording we have is of her giving a report on the work her and her husband did for the Lord. Click to go to Mavis' report. From Sydney, Australia. Fellowshipped at Waitara Gospel Chapel. 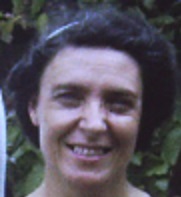 Dorothy and her husband Len started an indigenous mission called Doomadgee, in the Gulf of Carpentaria, Northwest Queensland. The recordings we have give more information. Click here if you'd like to buy a book about their experiences. 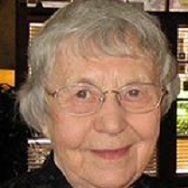 Click to hear of Len and Dorothy's missionary work. From Sydney, Australia. Fellowships at Abbotsford Gospel Hall. Click to go to Gary's Bible teaching. From Sydney - then Melbourne, Australia. Fellowships at Mulgrave Reserve Gospel Chapel. 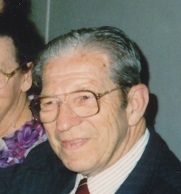 An elder in his assembly. Did outreach work in Melbourne universities. Click to go to Vic's Bible teaching. From Sydney, Australia. Fellowships at Oatley Gospel Chapel. A full-time evangelist. We have a series of gospel meetings he took at Holland Park Gospel Chapel, Brisbane. Click to go to Bill's Bible teaching. From Gold Coast, Australia. Fellowships at Southport Gospel Chapel. Takes religious education clases at schools. He also travels through the outback of Australia with a model of the Tabernacle and a pictorial Biblical timeline that his wife painted, teaching wherever he goes. Click to go to Alan's Bible teaching. From Northern Ireland - now - Brisbane, Australia. Fellowshipped at Corinda Gospel Hall. 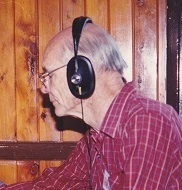 The majority of the recordings on this website were either recorded or collected by Des and Dorothy of Sound Words Tape Ministry Queensland. For more information click here. Click to go to Des' Bible teaching. From Brisbane, Australia - now Phillipines. Fellowshipped at Corinda Christian Assembly. A missionary to the Phillipines with New Tribes Mission. Click to go to Steve's Bible teaching. Born Australia - raised in Lancashire, England. Fellowshipped throughout England and Scotland. A pastor and theologian who authored 30 books. Click to go to Sidlow's Bible teaching. From Sydney, Australia - now Brisbane. Fellowships at Acacia Ridge Gospel Hall. Helped establish an assembly in Lae, Papua New Guinea, now an elder at the above mentioned assembly. Wrote many Bible correspondence lessons called Panorama Of The Bible for the Queensland Mailbox Bible Club. Click here for a list of these lessons or click here to enrol. Click to go to Martin's Bible teaching. Click to go to Tom's Bible teaching. From Belfast, Northern Ireland. Fellowshipped at The Crescent. Pastor and Bible teacher at The Crescent for 20 years. 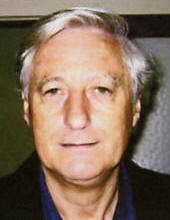 He played the role of mentor in the faith; writer, teacher, preacher, counsellor and friend to many. Click to go to Derick's Bible teaching. 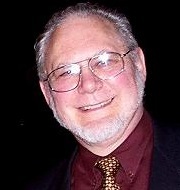 Born Pittsbugh, Pennsyvania, USA. Presbyterian. 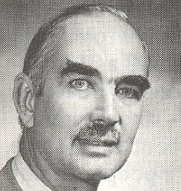 A Bible teacher and pastor of Tenth Presbyterian Church in Philadelphia from 1968 until his death. Click to go to James' Bible teaching. From Tasmania - now Brisbane, Australia. Fellowships at Gumdale Christian Assembly. 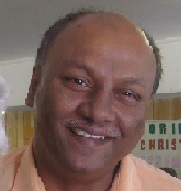 Runs a Kid's Club at Gumdale Christian Assembly. The recording we have of him is on "The Lord Jesus Christ - The Eternal Living Saviour". Click to go to Richard's Bible teaching. We have a recording of him speaking at Herries St Gospel Hall, where we think he fellowshipped. Click to go to Joe's Bible teaching. 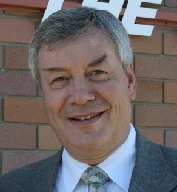 Principal of Pacific Hills Christian School, Sydney since 1985. We have a 3 part series on Joshua of his and a couple of other recordings. Click to go to Ted's Bible teaching. 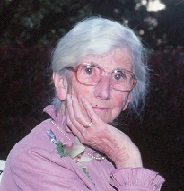 Gwen spoke at ladies' meetings on occasions, while travelling with her husband, Peter. Click to go to Gwen's testimony. 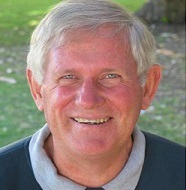 We have more recordings of Peter Brandon than any other speaker, as he is a highly regarded Bible teacher in Australia. Click to go to Peter's Bible teaching. Born Elgin, Moray, Scotland. Fellowshipped at various assemblies. Was a Professor of Biblical Criticism and Exegesis. 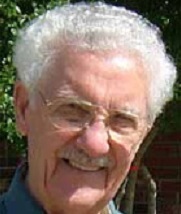 Wrote over 40 books and served as editor of The Evangelical Quarterly and the Palestine Exploration Quarterly magazines. Click to go to F F Bruce's Bible teaching. A full-time Christian worker. 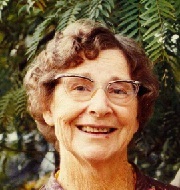 Her Bible teaching recordings were made at Ladies' camps. Click to go to Liz's Bible teaching. From Sydney, Australia. Fellowships at Campbelltown Christian Community Church. Is a full-time Christian worker, serves on a few different assembly boards and appears in several TV broadcasts. Click to go to Bruce's Bible teaching. From Scotland. Fellowshipped at Brisbane Hall, Largs. Was imprisoned by the Chinese who claimed he was a spy when they took over Tibet, where he was a missionary. He was in prison for three years and two months. After this he served as a misionary in Borneo for 10 years. Click to go to Geoffrey's Bible teaching. From Sydney, Australia. Fellowships at Eastwood Christian Fellowship. Gave 3 talks on James at a ladies' camp. We have lots of other recordings made at ladies' camps at CYC Eltham Park, MT Victoria and Camp Toukley. Click to go to Cecily's Bible teaching. From Sydney, Australia. Fellowshipped at Eastwood Christian Fellowship. 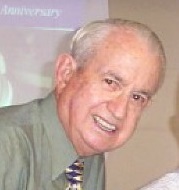 Was a well respected Bible teacher in Sydney, also lecturing at Emmaus Bible College. From Longreach, Australia. 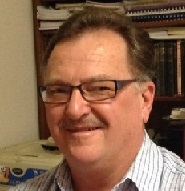 Fellowships at Longreach Baptist Church (commended by Numurkah Gospel Fellowship). Is a pastor with Outback Aerial Mission, which serves isolated outback communities that would otherwise be neglected spiritually, emotionally and practically. 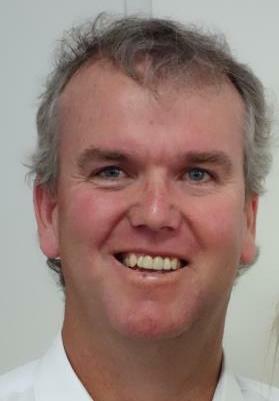 Based at Longreach in central western Queensland, he covers an area about twice the size of Tasmania. Click to go to Stephen's report on Outback Aerial Mission. From Born, India - then Brisbane, Australia. Fellowshipped with Corinda Christian Assembly. Was an elder at the above assembly. Some of the recordings we have of him were made for the "Sacred Half Hour" radio program. Click to go to Stephen's Bible teaching. From Victoria, Australia. Fellowshipped at Conference Hall, Camberwell. 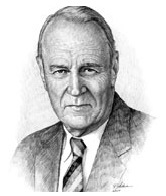 Mr Clayton tirelessly preached thousands of addresses and sermons at church services, conferences, conventions, camps, and wherever else his gift was sought. 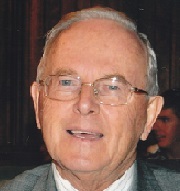 He was a foundation director of the Emmaus Bible School in Sydney. Click to go to Rice's Bible teaching. A self-supporting full time Christian worker. Available for Bible teaching and preaching in assemblies when invited. Used to do Scripture teaching in schools. From Sydney, Australia. Fellowships at North Parramatta Gospel Chapel. Spoke at a ladies' camp, close to Sydney. Works with International Teams,helping churches help the poor and oppressed. Click to go to Janice's Bible teaching. 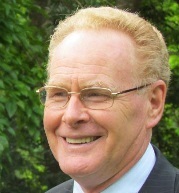 We have a series of 5 recordings of Phil, speaking at Salisbury Gospel Hall, Bribane, Australia. Click to go to Phil's Bible teaching. Advancing years along with health issues have greatly curtailed any active ministry and Gospel labours, but his presence is still deeply valued and appreciated when he is able to attend the local assembly meetings. Click to go to Norman's Bible teaching. From Treherbert, South Wales. Fellowshipped at Trinity Gospel Hall, Treherbert. 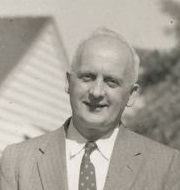 A Bible teacher, mainly throughout England and Scotland, then in Ireland, then across the Atlantic and finally, Australia. He delighted in the deep things of God. He liked and used charts, and these he designed and constructed himself, including ones on the Tabernacle, the Feasts of Jehovah, Matthew's Gospel and the Revelation. Click to go to Fred's Bible teaching. From Brisbane, Australia. Fellowships at Salisbury Gospel Hall. 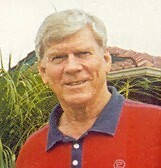 Two of his recordings were made for the radio program Sacred Half Hour and one at Acacia Ridge Gospel Hall. Went to India as missionary in 1920. 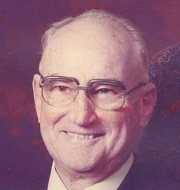 He traveled the globe and had an extensive oral and written Bible teaching ministry. Click to go to Jim's Bible teaching. 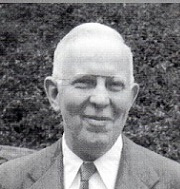 A missionary to Puerto Rico. The following is an extract of an article by his wife "Jim finished college and went through Grace Seminary, "not knowing where the Lord wanted him." Then, "through several events and Dr. John Whitcomb's testimony, the Lord gave us a burden and a love for Puerto Rico. Almost miraculously He supplied our needs for coming to Puerto Rico, and within a year and a half we were on the field." From Victoria, Australia - now New South Wales. Fellowshipped at Cartwright Christian Assembly . 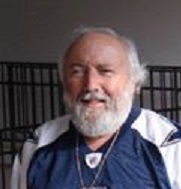 Has been in full-time Christian work for 40 years. Works for the Pocket Testament League. He has preached in every State and territory of Australia, also Burma, Thailand, Uganda, Romania, Moldova, North India and the UAE of Dubai, Sharjah and Abu Dhabi. From Sydney, Australia Fellowships at St Clair Erskine Park Community Church. Is a full-time Christian worker, with his assembly and is a lecturer at Gospel Literature Outreach. Click to go to GLO's website. Click to go to Allan's Bible teaching. We have a recording of him speaking at Belgrave Heights Convention Lodge and a series of 4 talks on mighty men of the Old Testament. Click to go to George's Bible teaching. Born Sheffield, Tasmania, Australia. Now Arlington Heights, Illinois, USA. Fellowships at Christ Fellowship. Serving the poor and broken hearted. Working with Bright Hope which helps poor families through local churches in Haiti, Kenya, Zambia and another 6 countries. Click to go to Bright Hope's website. Click to go to Kevin's Bible teaching. 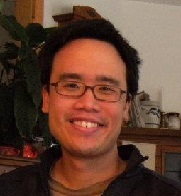 From Brisbane, Australia Fellowshipped with the Corinda Christian Assembly. Was an elder at the above assembly. With his wife he looked after the assembly missionary house and the homeless. His wife Mabel is still visiting prisoners at 93 years of age. Click to go to Frank's Bible teaching. Was a missionary to Venezuela. 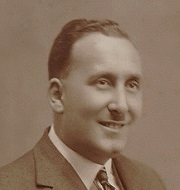 He made Valencia a permanent centre of pastoral and evangelistic activities. It was an important hub for reaching assemblies all around. Click to go to Eddie's Bible teaching. From Brisbane, Australia. Fellowships at Wamuran Christian Fellowship. Serves the Lord full-time. Started Assembly Aid Abroad after Bible teaching trips to East Africa. 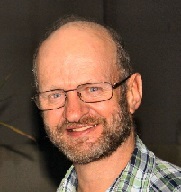 No longer travelling to Africa, he still travels to assemblies in Southern Queensland and NSW to teach the Word, and report on East Africa. Click to go to Assembly Aid Abroad's website. Click to go to Albert's Bible teaching. From Brisbane, Australia Fellowships awaiting information. 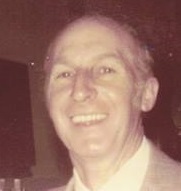 Was a foundation member of the Inala Gospel Chapel, along with Bob Glasgow, Dave Barclay and others. They not only started the assembly, but with hard yakka, built the hall too. Works in IT. We have a video and audio of him speaking at St Clair Erskine Park Community Church. From Brisbane, Australia. Fellowshipped at Corinda Christian Assembly. Instrumental in bringing Bill Graham to Australia for crusades. 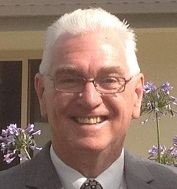 Head of Gideons Australia for a few years. 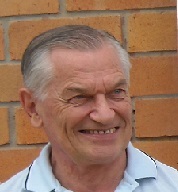 Long time elder of Corinda Christian Assembly. From Belfast, Northern Ireland. Fellowshipped at Parkgate Assembly. Has preached the Word in many countries, including the British Isles, USA, Canada, Australia and Israel. He had a special interest in Israel. From Brisbane, Australia. Fellowships at Murarrie Community Church. Went from Australia to serve God in Thailand, and from there to many other countries around the world. 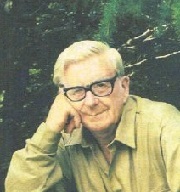 He started Bridgeway Publications for his books, some of which have been translated into more than forty languages. Click here for Bridgeway's website. Born Rockhampton then Sydney, Australia. Fellowshipped at Waitara Gospel Chapel. 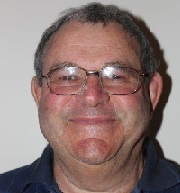 While a senior engineer for the Sydney Waterboard, he spent much of his spare time recording, editing and copying over 1,700 of the recordings on this website. Copies were then sold providing financial support for full-time Christian workers. Four years before his passing, with leukaemia and other problems, he started to digitise his recordings, finishing them all within weeks death. Click to go to Hugh's Bible teaching. 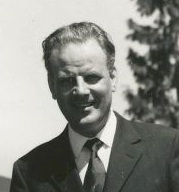 His ministry resulted in as many as thirteen new assemblies in Britain by 1970. 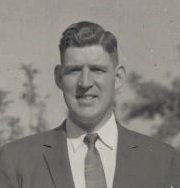 This photo was taken on one of his Bible teaching trips to Australia. Click to go to Stan's Bible teaching. From Sunshine Coast, Australia. Fellowships at Buderim Gospel Chapel. A missionary to India, Romania and Pakistan. 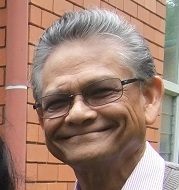 Since his time in India he has been faithfully teaching the Word in Australia and South Korea. Click here to see a recent video of him or for the full 13 minute version click here. Born Serbia, Russia - now USA. 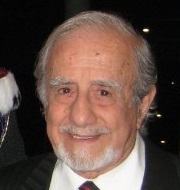 Received Orthodox Jewish training from his father before immigrating to New York in 1951 where he was saved. 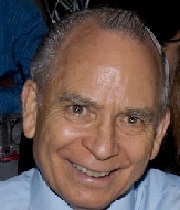 He went to Israel and was forced to leave Israel in 1973, because of his work training Jewish Christians. He continues in Jewish ministries. Click to go to Arnold's Bible teaching. From Sydney. Fellowships at Eastwood Christian Fellowship. The ministry we have of John was given at Eastwood Gospel Chapel, now known as Eastwood Christian Fellowship. Click to go to John's Bible teaching. From Sydney, Australia. Fellowships at St Jude's Anglican. 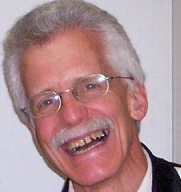 George is a full-time Christian worker whose recordings are on radio. When he speaks, his wife draws. They also sing duets and George plays the violin. Click to go to Rita's drawings. Had a very popular radio program for youth called Captain Midnight. 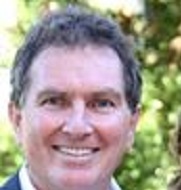 Founder of Fusion Australia. Click to go to Mal's Bible teaching. From Brisbane. Fellowshipped at Cannon Hill Gospel Hall. Worked with Mobile Mission Maintenance for many years. 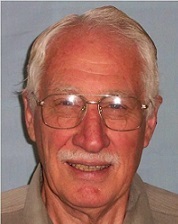 In his retirement worked with Queensland Mailbox Bible Club. 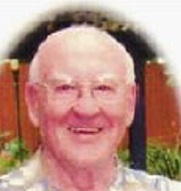 Click to go to Frank's memorial service. Worked with Mobile Mission Maintenance for many years. 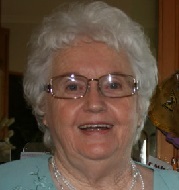 In her retirement worked with Queensland Mailbox Bible Club. 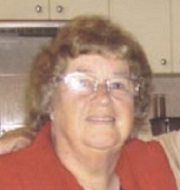 Click to go to Val's memorial service. From Lismore, New South Wales, Australia. Fellowships at Lismore Gospel Hall. 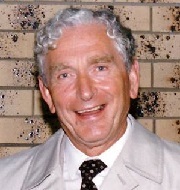 The one recording we have of Noel was recorded at a conference in the Toowong Gospel Hall in 1997. Click to go to Noel's Bible teaching. Born, South Africa - now Sydney, Australia. Fellowships at St Jude's Anglican. Previously a full-time Christian worker among the assemblies. Still does much Bible teaching among them. Click to go to Cedric's Bible teaching. From Brisbane. Fellowshiped at Inala Gospel Chapel. 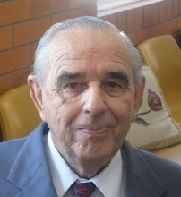 A faithful missionary to Brazil for 26 years. Sadly, the only recording we have is of his memorial service. 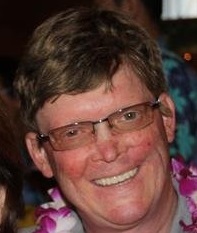 Click to go to Bob's memorial service. From Melbourne. Fellowshipped at various assemblies. 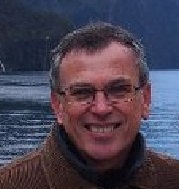 Itinerant evangelist for 18 years and director of This Is Life Ministries in New Zealand. Then pastored of 2 churches in Melbourne for another 15 years . Currently pastoring a church in Indianapolis, USA. Click to go to Keith's Bible teaching. From Taree, NSW, Australia. Fellowships at Taree Gospel Hall. We have a series of 7 addresses of Typical Teaching On The Tabernacle recorded at Salisbury Gospel Hall. Click to go to Robert's Bible teaching. From Born, Suffolk, England - then Kilravock, Scotland. Fellowshiped at Elim Hall, Kilmarnock. Best remembered for his clear and powerful teaching of the Scriptures. He assisted in the preparation of the Believers Magazine and took over from William Bunting as the editor of the magazine Assembly Testimony. 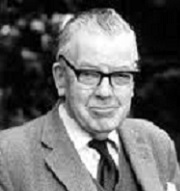 Click to go to A M S Gooding's Bible teaching. From Gold Coast, QLD, Australia. Fellowships at Southport Gospel Chapel. 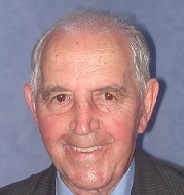 An elder and Bible teacher at Southport Gospel Chapel. The recording we have of him is "An Overview Of 1 Thessalonians". 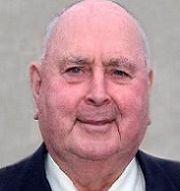 Born Palmerston North. Now Cambridge, New Zealand. Fellowships at Raleigh Street Christian Centre. Over thirty years of mission involvement, most of which has been with Gospel Literature Outreach Ministries New Zealand, doing missionary, training and evangelistic programmes. 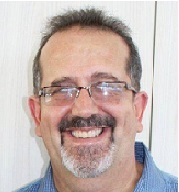 He also spent almost 12 years in Brazil helping to start the Brethren assembly in Bauru and another 2 years as senior pastor of Mueller Community Church, Brisbane, Australia. Click to go to Brian's Bible teaching. Born Dorrigo, NSW. Now Brisbane, Australia. Fellowships at Acacia Ridge Gospel Hall. 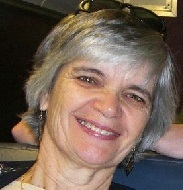 A great worker for the Lord at the Queensland Mailbox Bible Club and elsewhere. 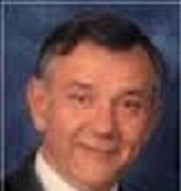 We have 2 recordings of Col's teaching at Acacia Ridge Gospel Hall. Click to go to Col's Bible teaching. Born Tasmania. Now Brisbane, Australia.Fellowships at Mueller Community Church. Works in radio ministry with and as a representative of Trans-World Radio. Click to go to Charles' Bible teaching. Born Ireland. Now Sydney, Australia. Fellowships at Riverstone Community Church. 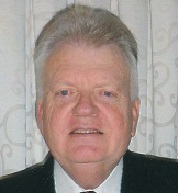 Served the Lord full time for about 30 years in India, Zambia and Australia. Has been associated with Gospel Literature Outreach Ministries since 1965. 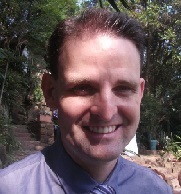 Has been a Bible lecturer at Emmaus Bible College and GLO in Australia, Malaysia and Korea. Click to go to Ken's Bible teaching. Born Sydney. Now Brisbane, Australia. Fellowships at Ormeau Community Church. 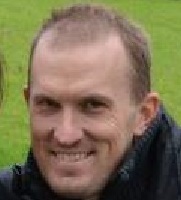 Is a pastor at Ormeau Community Church. Click to go to Michael's Bible teaching. From Brisbane, Australia Fellowships at Mackenzie Street Christian Assembly. A well respected Bible teacher. We have recordings of him speaking at several assemblies throughout Brisbane and a couple of recordings for the radio program, Sacred Half Hour. From Melbourne, Australia Now Tucson, Arizona, USA. 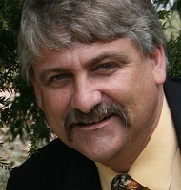 Barry has pastored churches in Australia and the United States. The recording of him was made at Corinda Christian Assembly. Click to go to Barry's Bible teaching. 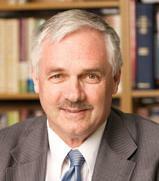 We have more than 30 recordings of Jims preaching and teaching from his visits to Brisbane and Sydney. 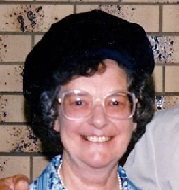 Was an elder and Bible Class teacher at Salisbury Gospel Hall for many years. We have all but a few recordings of a series of 58 messages he gave on 1 John. Click to go to Paul's Bible teaching. From California, USA. Fellowships at Trinity Evangelical Free Church. 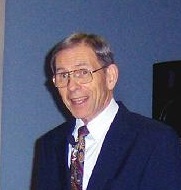 Pastor at the Trinity Evangelical Free Church since 1992. Studied at Dallas Theological Seminary. 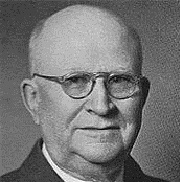 A well respected Bible teacher, he also published several Bible commentary pamphlets, he established the Western Book and Tract Company. He died in New Zealand, where he had planned to teach in Brethren assemblies and was buried there. Click to go to Harry's Bible teaching. From Brisbane, Australia. Fellowships at Salisbury Gospel Hall, after many years at Corinda Christian Assembly. A well known and respected Bible teacher. 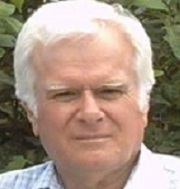 He ran a radio program called Sacred Half Hour, which was the longest running radio program in Australia. Recordings of some of these programs are on this site. Click to go to Ian's Bible teaching. 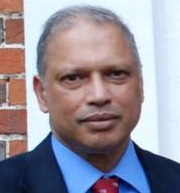 Born Tamil Nadu, India, then Malaysia. Had a distinct call from GOD to discard any plans he had for the world and instead, to spend his lifetime serving the LORD Jesus. 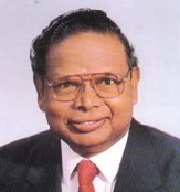 He helped start the Asia Evangelistic Fellowship and the Tamil Bible Institute in Johor, Malaysia. 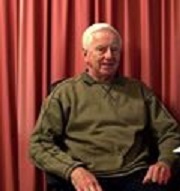 Click to go to G D James' Bible teaching. From Brisbane, Australia. Fellowshipped at Bethany Hall, Woollongabba. 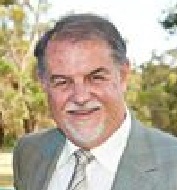 We have recordings of Joe speaking at 2 Bundamba conferences on 3 John and The Ground And The Glory Of The Gospel. From Lisburn, Northern Ireland. Fellowships at Growell Gospel Hall. An able expositor of the word of God and was well equipped to guide us into the Bible’s teaching. Click to go to Samuel's Bible teaching. From Sydney - now Brisbane, Australia. Fellowships at Gumdale Christian Assembly. Jointly runs a youth group for a few Brisbane assemblies. He is also a marriage celebrant. Click to go to Graeme's Bible teaching. 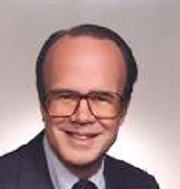 Devoted his life to ministering God's word and served as professor and visiting professor at three universities, including Dallas Theological Seminary and Trinity Evangelical Divinity School. Click to go to S Lewis' Bible teaching. 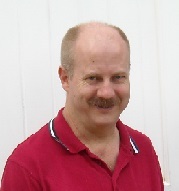 Chairman of the board of the Queensland Mailbox Bible Club. Now arranging for online lessons to be available. Born Gordonvale, North Queensland, Australia - Now Thailand. Is a missionary in Thailand. We have a recording of him speaking at Acacia Ridge Gospel Hall, Brisbane. 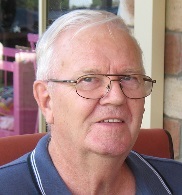 He is very helpful to the Queensland Mailbox Bible Club, having purchased tens of thousands of dollars worth of Thai stamps, enabling thousands of Thai prisoners to return their lessons in stamped envelopes. Click to go to Russ' Bible teaching. From Brisbane - now Sunshine Coast, Australia. Fellowships at a Baptist church on the Sunshine coast. 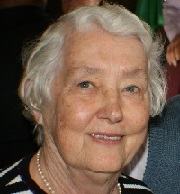 Was an elder at Corinda Christian Assembly for many years before retiring to the Sunshine coast. 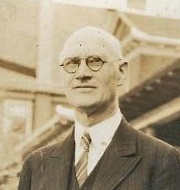 Frank Knox to preach to thousands in Belfast in the 1930s. We have a wonderful testimony of how Frank was gloriously saved. From India - now USA. Fellowships at an unknown assembly. 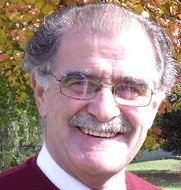 Has travelled to Australia several times, teaching the Word of God at meetings and camps. Click to go to Alexander's Bible teaching. 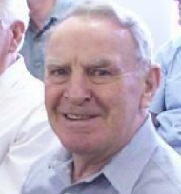 A long time elder at Corinda Christian Assembly. With a tremendous memory for scripture. I only wish I had a recording of an short address he gave during a Breaking Of Bread, where he quoted 21 verses. Seven verses each, for how the Father, the Son and the Holy Spirit played a part in our salvation. Click to go to Bob's Bible teaching. Born in South Africa - now Brisbane, Australia. Fellowships at Gumdale Gospel Chapel. 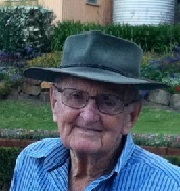 An elder at Gumdale Gospel Chapel for some years. 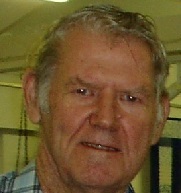 The recordings we have of him were made at Acacia Ridge Gospel Hall. Click to go to Thomas' Bible teaching. Born Coatbridge. then Lanarkshire, Scotland. Fellowshipped at Hebron Hall, Airdrie. Mostly known for ministry of God's word, though his emphasis in the Gospel meetings was on the sufferings of Christ, often saying "The Lord Jesus endured in three hours what the unrepentant sinner will never exhaust through eternity". 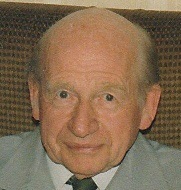 A sympathetic man and was “a succourer of many” who turned to him for advice throughout life. 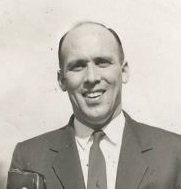 The recording we have of him was made when he was a teenager at Acacia Ridge Gospel Hall, Brisbane, where they actively encourage the young men to take part in gospel meetings. Click to go to Andrew's Bible teaching. 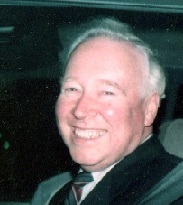 For almost 30 years, he was the minister of Westminster Chapel in London. Was strongly opposed to Liberal Christianity, which had become a part of many Christian denominations. Click to go to Martyn's Bible teaching. From Leominster, MA, USA. Then Scotland and back to the USA. 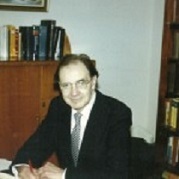 President of Emmaus Bible College, teacher, Plymouth Brethren theologian and a prolific author of over 84 published books. Refusing to accept royalties for his books he established a fund for translating his work, Believers Bible Commentary, into foreign languages. Click to go to William's report. From Yackandandah, Vic, Australia. Fellowships at Yackandandah Community Church. 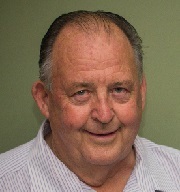 Spent 24 years, with his wife, working with Mobile Mission Maintenance and another 12 years as pastor of Yackandandah Community Church. More recently doing building work in Malawi and Vanuatu for Christian ministries. Click here for more information about Mobile Mission Maintenance. Click to go to Max's Bible teaching. Serves the Lord in Serbia with the Christian Evangelistic Centre in radio and literature ministries. 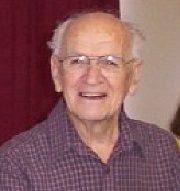 Click to go to reports of Vladimir's service for the Lord. From Sydney, Australia. Fellowships at St Ives Community Church. 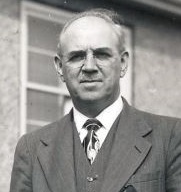 The recording we have of Elwyn's Bible teaching was made at a Ladies' camp. These ladies' camps were a blessing to many. Click to go to Elwyn's Bible teaching. 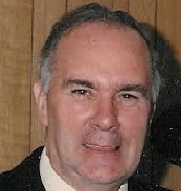 Served as a church elder in Bible teaching and also provided seminars for churches on pastoral care for people facing life-threatening illness, death and bereavement. Click to go to Graham's Bible teaching. From Sydney, Australia. Fellowshipped at South Hurstville and Eastwood Gospel Chapels. 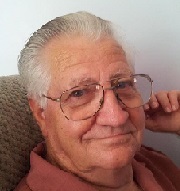 Served as church elder and for many years, did Bible teaching and gospel preaching among Christian Brethren churches in Sydney. Click to go to Leo's Bible teaching. From Northern Ireland. Fellowshipped with the Newtownards assembly. 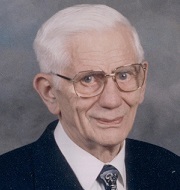 Norman Crawford said "As an evangelist, his gospel spirit stirred me deeply. As many times as I heard him preach, I never wearied of listening, for he was stirring, awakening, and Christ-exalting in all his preaching. We shared in the joy of many precious souls saved for eternity." Click to go to Sydney's report. From Brisbane. Now Mt Isa, Queensland, Australia. Fellowships at Mt Isa Gospel Hall. 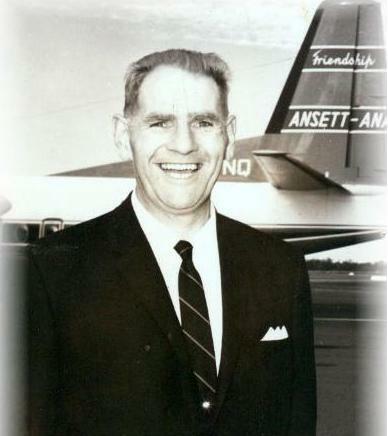 The recording we have of him was made at Corinda Christian Assembly when he told of the work being done in the Mt Isa assembly. Click to go to David's report. From Sydney. Fellowships at West Pennant Hills Community Church. Hear Mark's Bible teaching on A Search For Purpose and also on Integrity in Daniel 1:1,3,4,8, 5:31, 6:1-28. Click to go to Mark's Bible teaching. Born Nova Scotia, Canada. Then Cedar Falls, IA, USA. When giving up the income of a Chiropractor, to serve the Lord, he said. "The mail carrier, who was a patient of mine, asked me what salary I would be getting at "this preaching" as he termed it. When I told him that I had no guarantee of any salary, he questioned my sanity. It is 46 years ago this year that we stepped out in faith to serve the best of Masters. We have proven the faithfulness of our God, and can say with the apostle; "Having therefore obtained help from God, I continue unto this day." "
Click to go to Eric's Bible teaching. From Melbourne. Fellowshipped at Ashwood Gospel Chapel. 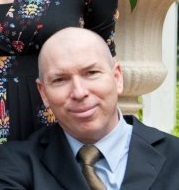 Principal of Emmaus Bible College, Sydney. 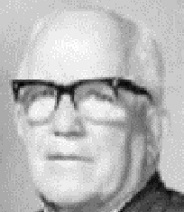 At 80 years of age he said "We plan to continue steadfastly" doing Emmaus correspondence, Bible teaching and other work in the assembly "until our Lord’s call, with trumpet fanfare: “Come up hither”." The Lord took him to be with Him before our Saviour's return. A full-time worker for the Lord. Taught from the Bible frequently at Ladies' camps and meetings. Click to go to Valerie's Bible teaching. Born Brisbane, Australia. Fellowships at Eastside Community Church. 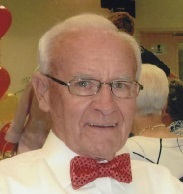 An elder at the above church. 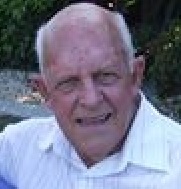 The recordings we have of him were made at Acacia Ridge Gospel Hall where he was an elder for a period. Click to go to Tom's report. Born India - now Sydney, Australia. Fellowships at North Parramatta Gospel Chapel. Full-time Christian worker. Recently returned from Bible teaching trip to Burundi. 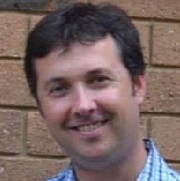 Speaks at assemblies, is a Bible college lecturer and is chaplain to a Rubgy Union team. Click to go to Doug's Bible teaching. From Airdrie, Scotland. Fellowshipped with the Newtongrange assembly. Full-time Christian worker. Robert had a great love of preaching the gospel, sounding it out in his powerful voice in a solemn yet winsome way throughout the UK. From Toronto, Canada. Fellowshipped at a few Open Brethren meetings in the USA and Canada. 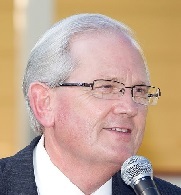 Since 1982 has been president of Ontario Bible College and Ontario Theological Seminary in Toronto, Canada, now known as Tyndale College and Seminary. 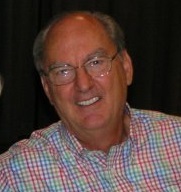 Is involved in an extensive itinerant ministry under McRae Ministries. From Killmore, Northern Ireland. Fellowshipped with the Lurgan assembly. 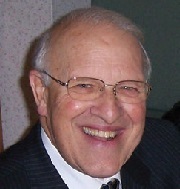 Served the Lord by preaching and teaching for over fifty years. He often took up passages rarely ministered on, often classified as "difficult" and would break these down into simple, easily understood, terms. From Brisbane, Australia. Fellowships at Wavell Heights Christian Assembly. Now an elder at the above assembly. 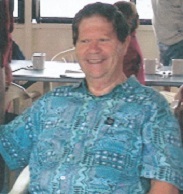 The recordings we have of him were made at Acacia Ridge Gospel Hall where he fellowshipped for a period. From Brisbane, Australia. Fellowshipped at Salisbury Gospel Hall after being a missionary. 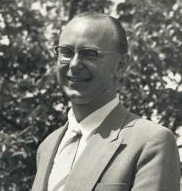 A missionary to Malaysia and Hong Kong. 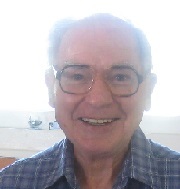 We have many recordings of him as he was a very good Bible teacher. Click to go to Willie's Bible teaching. 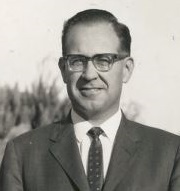 Serving as a missionary in Bolivia 1951-1997. Three of the recordings we have of him, he preached the word and in the other he tells of his missionary work. Click to go to Ned's Bible teaching. From United Kingdom. Fellowshipped with the Wythenshawe assembly. As a young man the Lord exercised him to preach the gospel. As a result he started gospel tent meetings in the city, and the Lord led him into full time ministry. Travelling through the British Isles, to North America, Brazil, Australia, and various parts of Europe teaching and preaching from God's Word. From Cooroy, Queensland, Australia. Now Brisbane. Fellowships at Buderim Gospel Chapel. 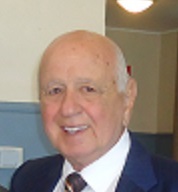 The recordings we have of him were made at Acacia Ridge Gospel Hall and one at The Plains Retirement Village, which is used for combined assembly Bible teaching. From Cooroy, Queensland, Australia. Now Brisbane. Fellowships at Toowong Gospel Hall. 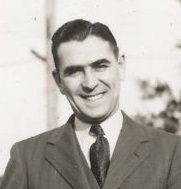 The recordings we have of him were made at Toowong, Herries St and Bundamba assemblies. Was an elder at Camira Christian Assembly Fellowship. The recording we have of him was made at Corinda Christian Assembly. Click to go to David's Bible teaching. Born Scotland - now Brisbane, Australia. Fellowships at Corinda Christian Assembly. Commenced the Camira Christian Assembly Fellowship in his home. 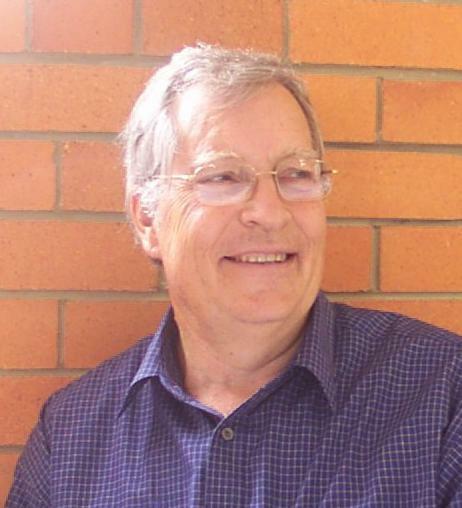 The recordings we have of him were made at Corinda Christian Assembly. 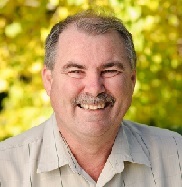 A full-time Christian worker that started Outback Aerial Mission to minister to the needs of isolated farmers of Queensland. The recording we have is a report on the work. Click to go to Es' report. 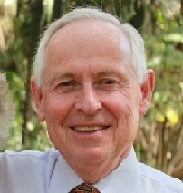 Born Toowoomba, Queensland. Now Ballina, NSW, Australia. Fellowships at Ballina Bible Fellowship. Was a missionary to Colombia. Now full-time at Ballina assembly. 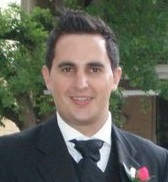 From Toowoomba, Queensland, Australia. Fellowshipped at Herries Street Gospel Hall (now Mackenzie St Gospel Hall). 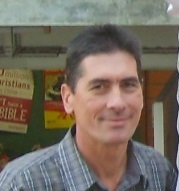 Used to travel from Toowoomba to Brisbane and the surrounding areas to preach the Word. From Queensland, Australia. Fellowships at Hume Ridge Church of Christ, Toowoomba. Was a missionary to Brazil. One of the recordings is a report on the work he was invovled in when in Brazil. Click to go to Rodney's Bible teaching. From Queensland, Australia. Fellowships with the Kuraby Christian Church. A full-time Christian evangelist, using country gospel singing and ventriliquilism to spread the Word. 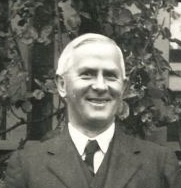 One of the best known bible teachers of Northern Ireland in the 1900s. Preached in many countries around the world. At 21 years of age, became the youngest doctor in Scotland. 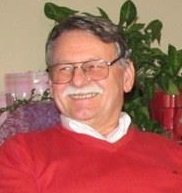 Was a founder of Kawartha Lakes Bible College and one of its most loved teachers. Retired at age 60 to devote himself more fully to the Lord's work. James traveled throughout many countries. From Brisbane, Queensland. Fellowships at Village Avenue Community Church. 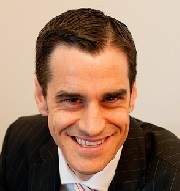 Is a full-time evangelist often speaking to audiences in the 1,000s in Australia and overseas. Click to go to Bill Newman's website. Born Singapore. Now Sydney, Australia. Fellowships at Faith Community Church Blacktown. 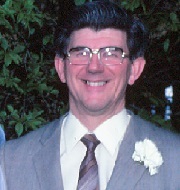 Commended as a missionary in 1977. Has served the Lord Jesus with Gospel Literature Outreach Ministries since August 1990. Did church planting work with multi-national Christians and new migrants. Is doing Bible teaching, discipleship training and pastoral ministry in their church. Click to go to Sonny's Bible teaching. Born Blantyre, Scotland. Then Canada. Fellowshipped at Queenston Street Gospel Hall. 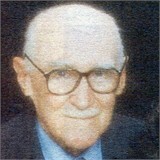 Boyd travelled both to preach the gospel and teaching the saints. 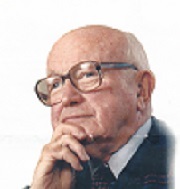 This was his true life's work: to take God's Good News around the world. 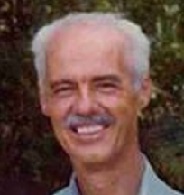 He travelled extensively in Asia, Africa, Europe and North America, preaching "the unsearchable riches of Christ." Click to go to Boyd's Bible teaching. Born Sydney, Australia now Brisbane. Fellowships at Bethany Gospel Hall. Loves his Lord and proclaims His Word faithfully. We have 2 recordings of him teaching at Toowong Gospel Hall. From New South Wales, Australia - then Brisbane, Queensland. Fellowshipped with Corinda Christian Assembly. Started the Queensland Mailbox Bible Club in March 1978, to teach basic Bible truths to children, teenagers and their families in Queensland. The work spread rapidly and hundreds of thousands of students have done lessons from many countries, especially Papua New Guinea. Click to go to Beres' Bible teaching. From Cardiff. Then Bristol, England. 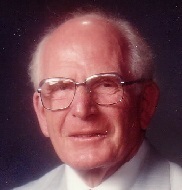 Primarily a Bible teacher and he taught in churches all over the UK as well as in some trips abroad to Australia, Canada and Hong Kong. His teaching relied on prayerful dependence on God and disciplined and systematic Bible study. Born Zambia - Raised Angola, then England and USA. Fellowshipped at Baptist churches. One of the world's most dynamic Christian leaders of the 20th Century. Throughout his life, he taught boldly and effectively about the importance of expository preaching, evangelistic teaching and spiritual growth. 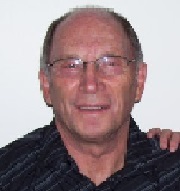 Was a heroin addict and drug kingpin in Canada until Christ reached down and saved him. Click to go to Peter's testimony. From Belfast, Northern Ireland - then England and USA. Fellowshipped at Baptist churches. Beside his writing, teaching and preaching, he had great impact on evangelicals around the world through his friendship with other leading Christians. He was an advisor of Billy Graham's from the start of his ministry. Click to go to Edwin's Bible teaching. From Brisbane, Australia. Fellowships at Mueller Community Church. A full-time Christian worker. Speaks at ladies' camps and meetings. 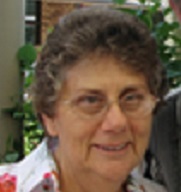 Works with her husband at Emmaus Correspondence School, Queensland. Go to Emmaus Correspondence School's, Queensland website. 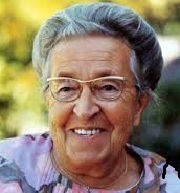 Click to go to Ethel's Bible teaching. Has a deep knowledge of the scriptures and the ability to teach it simply. A medical doctor. From Lurgan, Northern Ireland - Canada. Fellowshipped at Christian Brethren assemblies. A full-time preacher of the Word since 1945. Moved his family to Canada after threats on his family by the Irish Republican Army. Used mightily by the Lord seeing many souls saved. Click to go to Harold's Bible teaching. From Lurgan, Northern Ireland. Fellowshipped at Martyrs Memorial Free Presbyterian Church of Ulster. From Queensland, Australia. Fellowships with the Mackenzie St Christian Assembly. 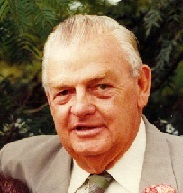 The recordings we have of him were made at Bellbowrie Community Church. Click to go to Sam's Bible teaching. From Sydney, Australia. Fellowshipped at Eastwood Gospel Chapel. 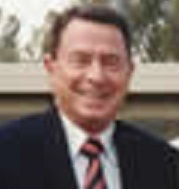 Widely known in Australia and other countries for his ministry and outreach in the Gospel, especially to the Jewish people. Bill was greatly concerned about the Jewish people (Romans 10:1) and after his first trip to Israel his love for them deepened. He visited them in their homes, became good friends with the Rabbis and was invited to their various celebrations and synagogues. He saw a small number of Jewish people come to the Lord and they encouraged him to visit Israel. 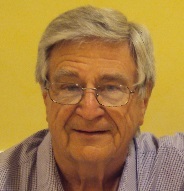 In 1976 he commenced Bible Lands Tours. 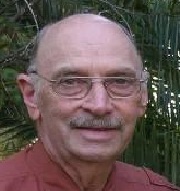 The recordings we have of him is a report on the Sacred Half Hour radio program. 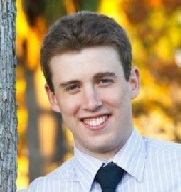 Is also a conductor of the Brisbane Festival Male Voice Choir. Click to go to Brisbane Festival Male Voice Choir's website. Click to go to Dennis' report. From Melbourne, Australia. Fellowships at Edge church. 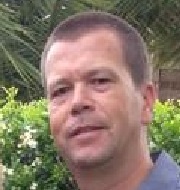 Has been a pastor at Edge church and two other churches. 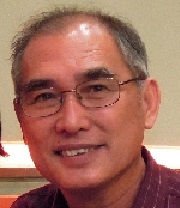 Has led or been involved in mission groups to China, Greece, Philippians, Cambodia and Israel. Presently working at Waverley Christian College. Still loves the opportunity to speak at churches, camps or school chapel services. Click to go to Ash's Bible teaching. From Brisbane. Now Bundaberg, Australia. A much sort after speaker at women's meetings. Did a lot of work with the Inala Gospel Chapel before moving north. Click to go to Dorothy's Bible teaching. 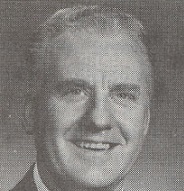 The congregation which now meets at Balmoral Bible Chapel in Red Deer, Canada had its beginning there in 1930, when William M. Rae held services in a tent pitched near the site of the present Valley Hotel. At the conclusion of these meetings, Mr. Rae decided to reside in Red Deer, and helped rent a hall. This location was called the Red Deer Gospel Hall. Click to go to William's Bible teaching. Spent his latter teen years in Sydney. After going to India, lived in Brisbane, Australia. Fellowshipped at North Wynnum assembly and Corinda Christian Assembly. 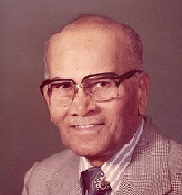 Was a missionary in India and Papua New Guinea. The first time he went to India to preach, the second time, to print much need Bible literature. 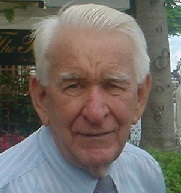 His time in PNG was also to print Christian literature. From England. Fellowshipped with the Sanderstead assembly. 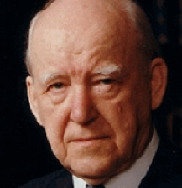 It was said of him "He was undoubtedly one of the greatest gifts to the church in the twentieth century." Till the end of his days he believed that if there was a meeting on, it was a sin not to be there. Click to go to E W Rogers' Bible teaching. Born Durban, South Africa. Now Brisbane, Australia. Fellowships at Hebron Gospel Hall Booval. 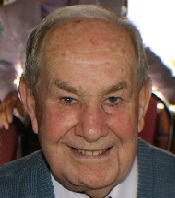 Ted has now known the Lord as his Saviour for nearly fifty years as he is now 85. He is still learning more about the Lord every day and has done from the time of his salvation. Born Kolkata, India - now Sydney, Australia. Fellowships at Oatley Gospel Chapel. Brought up in the Anglican tradition. 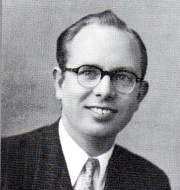 Saved in Feburary 1956 at a Billy Graham meeting in Kolkata, India. Joined Bethany Assembly in Bhawan, Delhi 1968. Came to Australia in March 1974. Click to go to Lionel's Bible teaching. From Brisbane, Australia. Fellowshipped with the Corinda Christian Assembly. Was a longer time elder of the above assembly, playing the organ and maintaining the missionary house. Click to go to Bernie's Bible teaching. From Brisbane, Australia. Fellowshipped at Holland Park Gospel Chapel. 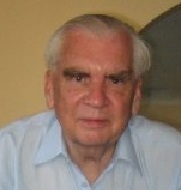 Was head of Emmaus Correspondence Schools in south-east Asia and had a ministry to prisoners in Brisbane. From Brisbane, Australia. Fellowshipped at Cannon Hill Gospel Hall. 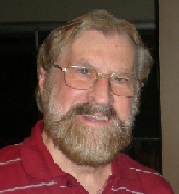 He was co-founder of the Evolution Protest Movement, a forerunner of Creation Science. An Opthalamic Surgeon. Was in the 9th Light Horse calvary in WWII. Was in Jerusalem 22 yrs and Cyprus another 22 yrs. 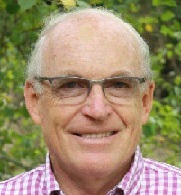 A lecturer at several Bible colleges, an author and Bible teacher for The Friends of Israel Gospel Ministry, Inc.
Click to go to Renald's Bible teaching. From Fiji - now Brisbane, Australia. Fellowships with the Corinda Christian Assembly. An elder at the above mentioned assembly. 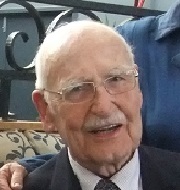 Known to many as Brother Dan, ministered to many thousands through the years in Canada and the United States through his written and pulpit ministry. Click to go to Dan's Bible teaching. Born British Guiana (now Guyana). Now England. Is the director of the Institute for the Study of Islam and Christianity and International Director of the Barnabas Fund. 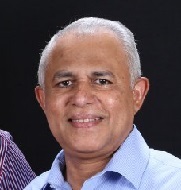 Sookhdeo is an outspoken spokesman for persecuted Christian minorities around the world. Click here to go to the Australian page of Barnabas Fund's website. Click to go to Patrick's Bible teaching. Born London, England. Fellowshipped in the Metropolitan Tabernacle. 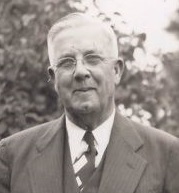 A British Particular Baptist preacher, remains highly influential among Christians of different denominations, among whom he is known as the "Prince of Preachers". Many sermons were transcribed as he spoke and were translated into many languages during his lifetime. These transciptions were also used to make the recordings that are on this site. 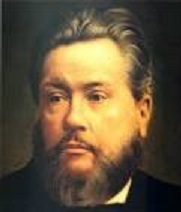 Click to go to C H Spurgeon's Bible teaching. It was said of him, "St. John, with his powerful voice and fluent tongue, drew and held the crowds with his graphic word pictures and his youthful, ruddy appearance. Either alone or with one other, he would go to Hyde Park and preach to the crowds." Yes, there was natural ability, but we judge by the fruit that there was an immense hidden root system in his life that drew on God's supernatural powers. Born Sydney, New South Wales. Now Roelands, Western Australia. A Bible prophecy teacher. Served in India for 36 years. Founded the Maranatha Revival Crusade, a non-commercial, non-profit Christian ministry dedicated to the Gospel of Jesus Christ. It has a focus on the fulfilment of Bible Prophecy, the spiritual building up of God’s people and missionary outreach. 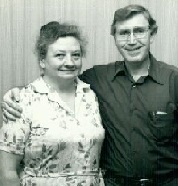 Click here to go to a webpage about Don and Marantha Revival Crusade. From Sydney, Australia at one stage. Fellowshipped at a Sydney assembly. 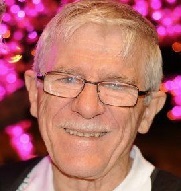 He was well known in Sydney for starting the Sydney Festival Of Male Voice Praise, now Sydney Festival Of Male Voice Choir. An accomplished pianist and a psychiatrist. 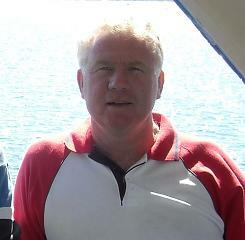 Click here for Sydney Festival Of Male Voice Choir's website. Born Wairoa, New Zealand. Now Sydney, Australia. Fellowships at Waitara Gospel Chapel. 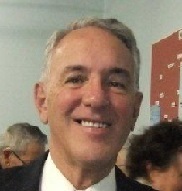 A retired Principal of Emmaus Bible College, now teaches in various Sydney churches. Usually travels twice a year to Eastern Europe as a Bible teacher. He goes to Romania and Moldova (with Christian Mission International Aid) and to Armenia (with Armenian Christian Mission). From London, England. Fellowshipped at All Souls Church, Langham Place. Served as Chaplain to the Queen from 1959. 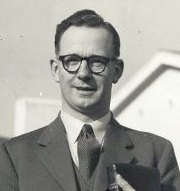 John Stott's remarkable ministry spanned the second half of the twentieth century while in his 80s he was making an impact on the twenty-first. Born Lismore. Now Moree, Australia. Fellowships with the Moree Christian Assembly. Was a full time Christian worker for 13 years, teaching from the Bible and minitering gospel. 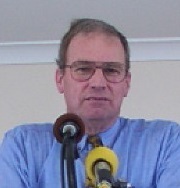 He used a large tent and preached using it in NSW, Qld, Tasmania and SA. He ceased this ministry when family commitments necessitated being at home full time. The ministry we have of Chris' was recorded at Acacia Ridge Gospel Hall and The Plains Retirement Village, which is used for combined assembly Bible teaching. Click to go to Chris' Bible teaching. From Amsterdam, Holland. Died Placentia, California, USA. A Dutch Christian who, along with her father and other family members, helped many Jews escape the Nazi Holocaust during World War II and was imprisoned for it. Her most famous book, The Hiding Place, describes the ordeal. Click to go to Corrie's Bible teaching. 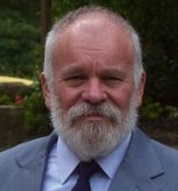 A missionary to Venezuela. 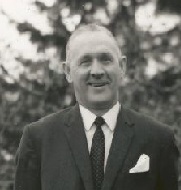 Leaving Australia in 1956, he laboured firstly in the west and then pioneered the work in the states of Merida and Tachira, as well as giving help in many other parts of the country. Click to go to Neal's Bible teaching. Click to go to Bryson's Bible teaching. Born Rajahmundry, India - then Sydney, Australia. Fellowshipped at Epping Gospel Chapel. 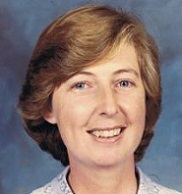 Worked as Correspondence School Manager for Emmaus Bible School, Sydney, Australia. 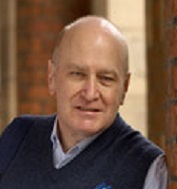 He founded Gospel Literature Outreach in June 1965 and continued working for both organisations. Click to go to Colin's Bible teaching. 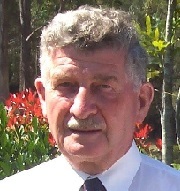 From Cooroy, Queensland, Australia. From Brisbane. Fellowships at Narangba Family Church. 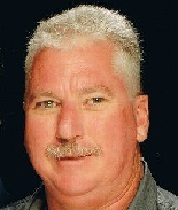 Was a full time worker in Queensland for many years. At the moment serving the Lord as an Elder and fulfilling pastoral care needs at the above assembly. 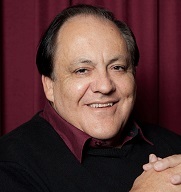 Born La Jose, Pennsylvania. Fellowshipped various Christian and Missionary Alliance churches. Tozer served as pastor for 30 years at Southside Alliance Church, in Chicago, Illinois. In observing contemporary Christian living, he felt that the church was on a dangerous course toward compromising with "worldly" concerns. Click to go to Tozer's Bible teaching. 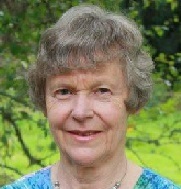 Beatrice was a missionary to India. The recordings we have of her were made at Ladies' camps. Click to go to Beatrice's Bible teaching. From Brisbane, Australia. Fellowships at Conference Hall. 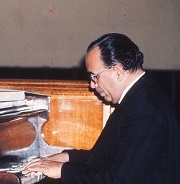 Many of the recordings we have of him are gospel addresses, but several are addresses given at conferences. From Sydney, Australia. Fellowships at St Clair Erskine Park Christian Church. 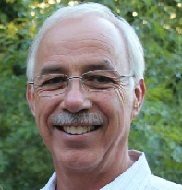 Steve Walker has has work full-time for the Lord with Gospel Literature Outreach for many years. From Sydney, Australia. Fellowships at Allawah Community Church. Retired fireman. Was very active in camp work. We have a video and audio of him teaching at St Clair Erskine Park Community Church. Click to go to Garry's Bible teaching. His secular work did not hinder his ministry to saints and sinners in the gospel and ministry of the scriptures. When he retired, his travels extended to Australasia. 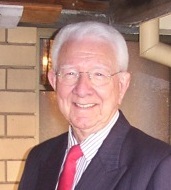 A missionary to Japan, working with OMF. Serving God faithfully amongst the Japanese people. Born Burnie, Tasmania. Fellowshipped at Burnie Gospel Hall. Well-known itinerant missionary. He used to visit India often and take Bible studies across the country. He was very particular about teaching the New Testament Church principles which many conveniently neglect these days. Click to go to Charlie's Bible teaching. Born London, England. Then Jamaica. Heard the words "Everyone shall give an account of himself to God," and he vowed to open his mouth for Jesus, becoming a missionary to the Amazon and the West Indies. 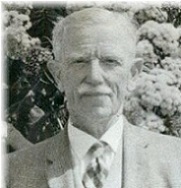 He spent the rest of his life in Jamaica as a missionary for the Brethren. Born Sydney, Australia Now Brisbane. Fellowships in Creekside Community Church, Narangba. Involved in preaching, teaching and training in the church. 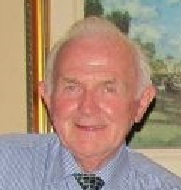 Born Belfast, Ireland, then moved to Sydney, Australia Now Brisbane. Fellowships with the Bethany assembly. 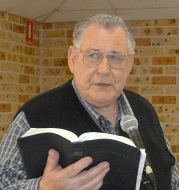 An elder in Bethany Assembly, Brisbane and engaged in Bible teaching in South East Queensland. A medical practitioner, now working part-time in skin cancer treatment. Click to go to Ray's Bible teaching. Born Ulster, Northern Ireland. Fellowshipped at Donegall Road Hall. 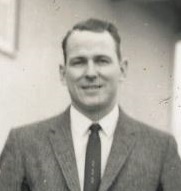 Missionary to Portugal and Angola. 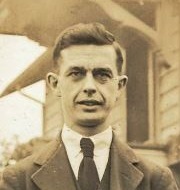 His first employment was as a Telegram Boy during WWI. He spoke of the grief and anguish he witnessed when the messages announced the death, wounding or imprisonment of loved ones. How happy he was later to be the bearer of good news of eternal life. Click to go to T Ernest's Bible teaching. Born Belfast, Ireland. Now Sydney, Australia. Fellowships at Bexley Gospel Hall. 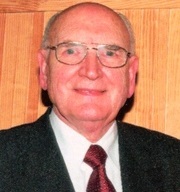 A long time elder at Bexley assembly and a very capable Bible teacher.